"Disclaimer: this is about to get romantic as F." 20th Century Fox has debuted the second official trailer for a movie titled Love, Simon, in theaters this March. This is one of the first gay coming-of-age films about the life of high schooler who has yet to tell his family or friends he's gay and he doesn't actually know the identity of the anonymous classmate he's fallen for online. And it looks great! No really, check this out you may be surprised. Starring young actor Nick Robinson (from Jurassic World and The Kings of Summer) as Simon. Also starring Katherine Langford, Alexandra Shipp, Jorge Lendeborg Jr., Miles Heizer, Keiynan Lonsdale, Logan Miller, Jennifer Garner, Josh Duhamel, and Tony Hale. This looks very charming and entertaining, better than I was expecting, and I'm seriously looking forward to it. Have fun. You can still watch the first teaser trailer for Love, Simon here, to see even more footage from this. Everyone deserves a great love story. 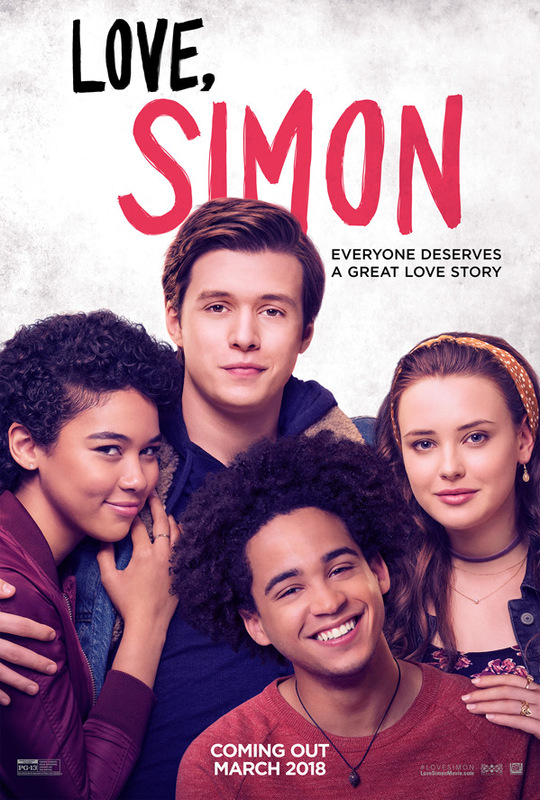 But for seventeen-year old Simon Spier (Nick Robinson) it's a little more complicated: he's yet to tell his family or friends he's gay and he doesn't actually know the identity of the anonymous classmate he's fallen for online. Resolving both issues proves hilarious, terrifying and life-changing. Love, Simon is directed by American filmmaker/producer Greg Berlanti, director of the films Life as We Know It and The Broken Hearts Club, as well as extensive TV work developing/producing shows including "Supergirl", "The Flash", and "Legends of Tomorrow". The screenplay is written by Isaac Aptaker and Elizabeth Berger. Based upon the novel "Simon vs. the Homo Sapiens Agenda" by Becky Albertalli. 20th Century Fox will open Love, Simon in theaters everywhere starting March 16th, 2018 coming up. You in?